The study prepared by Ingeniurbüro Prof. Dr. Hauser GmbH (IBH) is showing that the significant impact of solar gains is missing in requirements for window replacement, where only heat losses are taken into account. The inclusion of solar gains in national requirements can help to optimize the energy performance of buildings and ensure with that the maximum energy saving potentials. Solar gains (g-values) have to be taken into account beside transmission losses (U-values) for windows and other transparent building elements. The energy performance of windows with a worse (higher) U-Value in combination with a better (higher) g-value is often more effective and as well less cost-intensive. The Energy Performance of Buildings Directive (EPBD) has contributed to improving the energy performance of European buildings since its recast in 2010. EuroWindoor with the related associations European Aluminium, ES-SO and Glass for Europe are strong supporters of this framework. Those four associations cooperate together to tap the potential of windows with the revising of the EPBD and publish on November 9th, 2016 a Joint Position Paper to this important item. The European Commission launched on 30th June a public consultation on the evaluation of the Energy Performance of Buildings Directive. The objective of this consultation is to consult stakeholders on the review of the Energy Performance of Buildings Directive and evaluate whether the directive has met its aims. The consultation will also explore issues in relation to the Smart Finance for Smart Buildings initiative and the links of the directive with other energy policy areas. EuroWindoor AISBL as a strong supporter of the EPBD holds the opinion, that the revision of the EPBD is an opportunity to better recognise the crucial role windows play in terms of daylight, indoor climate and energy efficiency. On March 15th, 2016 in Nuremberg EuroWindoor AISBL agreed on a position paper "The benefits of windows and glazed areas" and the connected Infographic "Windows for healthier buildings". A study from Fraunhofer (IBP) 2015, states that around 80 million Europeans live in damp or unhealthy buildings, which has a great impact of the health and well-being! EuroWindoor AISBL agreed on July 1st in Copenhagen on a position paper on EU Energy Labeling for windows with arguments and proposals for alternative procedures related to the results of the Ecodesign preparatory study for Windows. 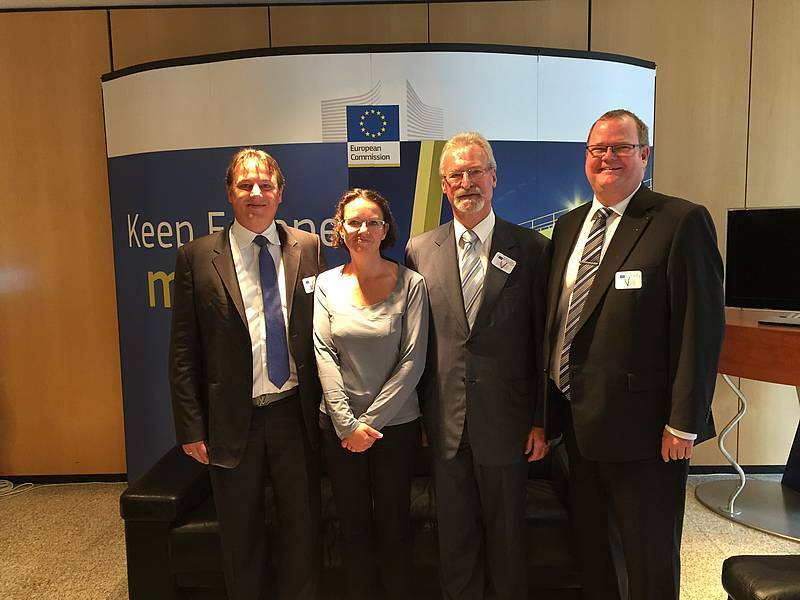 The attending EuroWindoor members made a clear and unanimous agreement against an EU Energy Labeling for windows. More negative impact than positive is expected. Although there was a negative assessment EuroWindoor AISBL is willing to support energy efficiency and the development for better energy efficient windows by using another way instead of EU Energy Labeling. Such a label will not increase the replacement rate of windows, but that is needed. 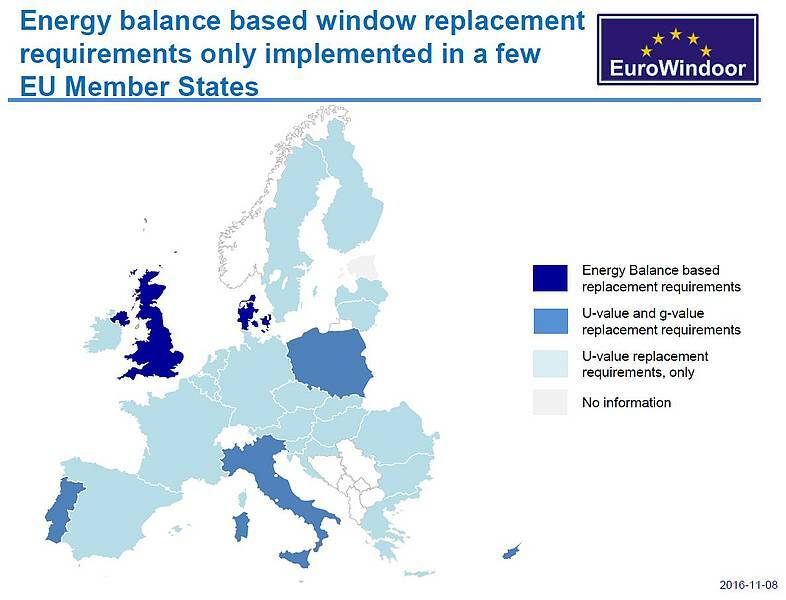 EuroWindoor members see the recast of EPBD as the right place to request from Member States stronger requirements (based on energy balance instead of only U-value) for windows in new buildings and for renovation. Window products and the purchase situation of windows cannot be compared with white goods and electronic products. The energy savings potential depend on the specific climate, building etc. The EU Energy label can potentially misguide, and windows are more than energy performance. Will be against building regulations so far, which are based on national climatic conditions, and not determined at EU level. No justification of an EU label compared to national labels or doing nothing. From left: Joachim Oberrauch, Britta Tipsmark Hougaard, Franz Hauk and Frank Koos. 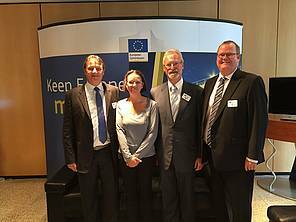 EuroWindoor met with DG Energy regarding EU Energy Label for windows on July 15th, 2015 (see Picture) where the position of EuroWindoor was explained in detail. But DG Energy presented in the beginning of September working documents on a Delegated Regulation for Energy Labelling of Windows without taking the position of EuroWindoor into account. In the consultation forum meeting on 30th September the proposal from the EU Commission was discussed with Member States and Stakeholders. EuroWindoor introduced more detailed arguments which were published in the EuroWindoor reply to the Working Documents on Delegated Regulation for Energy Labelling Windows before. EuroWindoor prepared after the forum an EuroWindoor follow up on Consultation Forum 30/9 2015 and forwarded new figures from an analysis of Ecofys end of September to DG Energy. EuroWindoor is partner of Build Up, the EU Portal for Energy efficiency of buildings.